‘SOLD IN THE UK SUBJECT TO RESALE PRICE CONDITIONS’ wording on label (commercial release only, does not appear on demo version). This was the last commercial release to feature this wording. The next single released (Deep Purple’s “Hallelujah” on HAR5006) does not feature this wording. 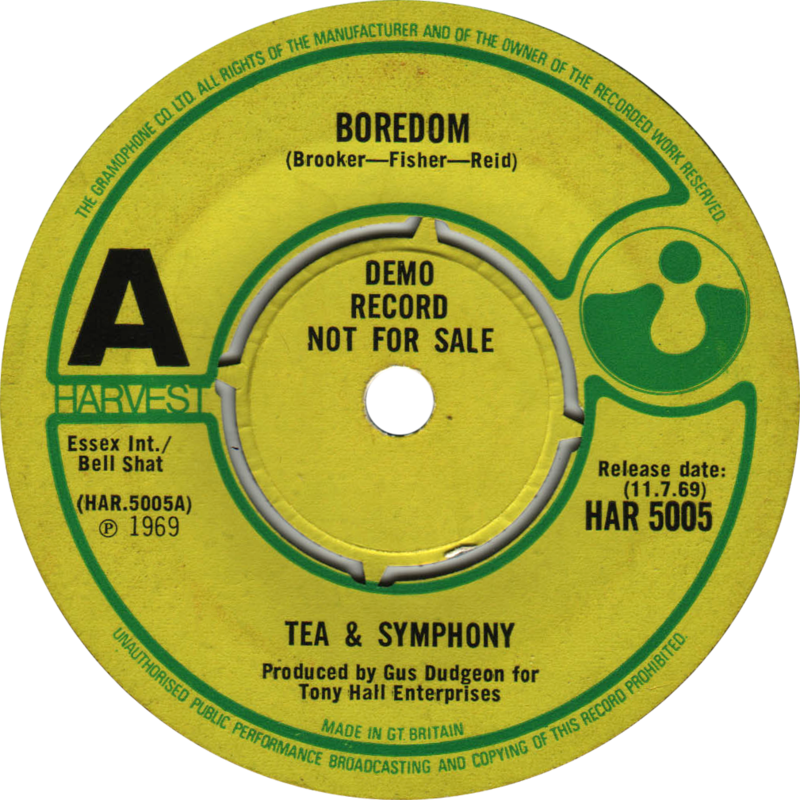 Given that the demo version of HAR5006 shows a release date of 25.7.69, it is fair to assume that this two week period of July 1969 is when the ‘SOLD IN THE UK…’ wording was finally dropped.